Dwarf Japanese maple trees reach mature heights of as little as 6 feet tall. The dwarf varieties are cultivars created from the standard Japanese maple trees. These compact trees have vibrant foliage that adds color and interest to the landscape. Dwarf varieties of Japanese maples take well to container growing, making them a good choice for decks, patios and covered porches. Japanese maple trees grow in USDA planting zones 5 to 8. Dwarf varieties of Japanese maple require similar care to standard Japanese maples. 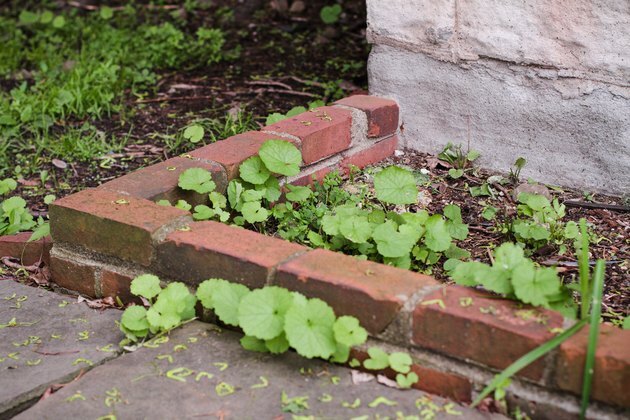 Select a planting site that gets partial shade and is protected from heavy, frequent winds. Dwarf Japanese maples are an understory tree that will thrive in the filtered shade of taller, deciduous landscape trees. Plant Japanese maples in loose, well draining soil with a pH range of 6 to 8. If your soil is heavy and water logged, create a raised bed at least 12 inches high; dwarf Japanese maples cannot tolerate heavy soil or standing water around their root systems. 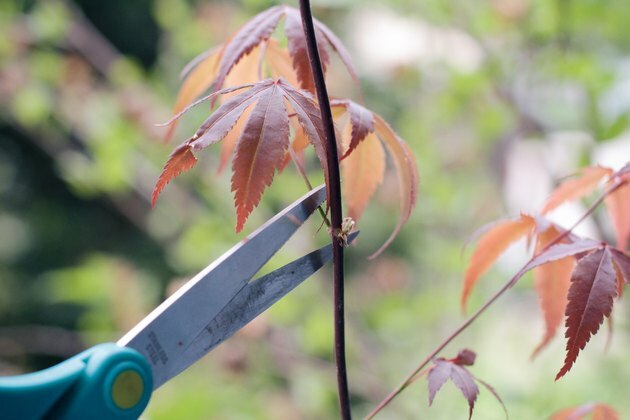 Plant dwarf Japanese maples in the spring as soon as the ground is thawed enough to dig. 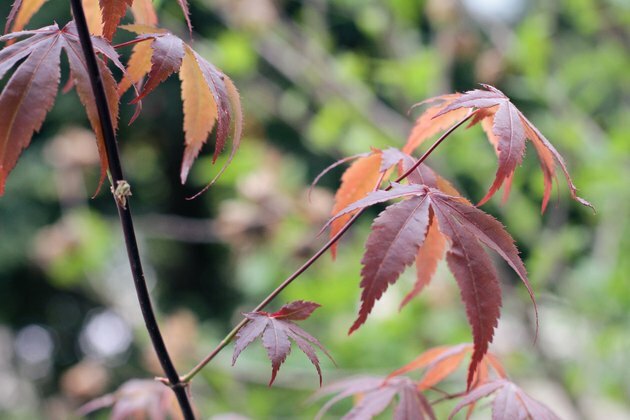 In warm climates with mild winters, plant Japanese maples in the fall. 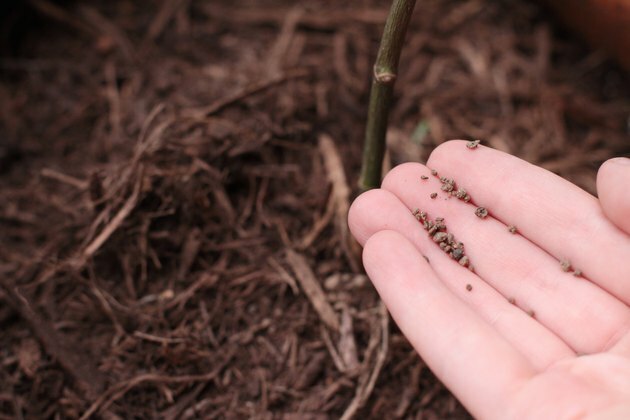 Dig out a planting hole twice as large as the root ball of the dwarf Japanese maple. 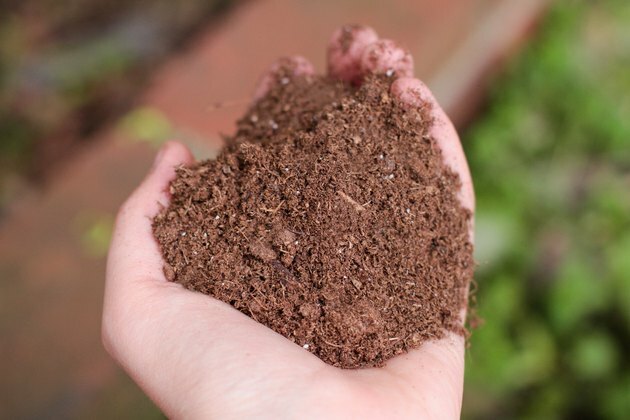 Mix the soil from the hole with half again as much rich, well-rotted compost as soil. Break up the sides and bottom of the planting hole with a garden fork or shovel. Slide the root ball out of the nursery pot and place it in the planting hole. Fill in around the root ball with the compost and soil mix. 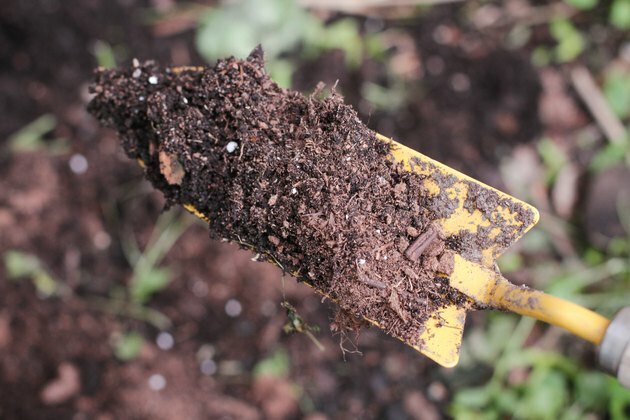 If you are planting in a raised bed, fill the bed with a mixture of equal parts soil and compost. Water when the top 2 to 4 inches of the soil feels dry to the touch. 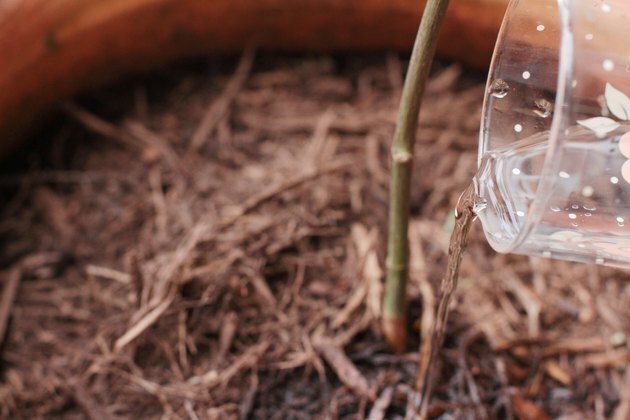 When watering, soak the soil to a depth of at least 12 inches. Water requirements vary depending on rain fall and planting location. 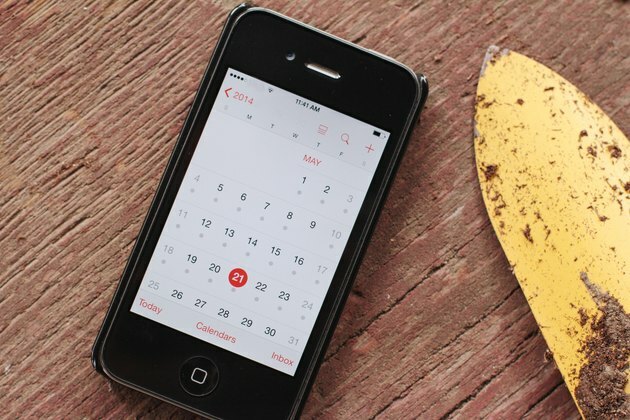 In dry weather, check the soil weekly, when the top begins to feel dry, apply water until the soil is damp. If the Japanese maple is planted in windy areas or in full sun, check the moisture levels of the soil twice a week. Watch the tree closely--brown edges on the leaves are an indication of insufficient water. 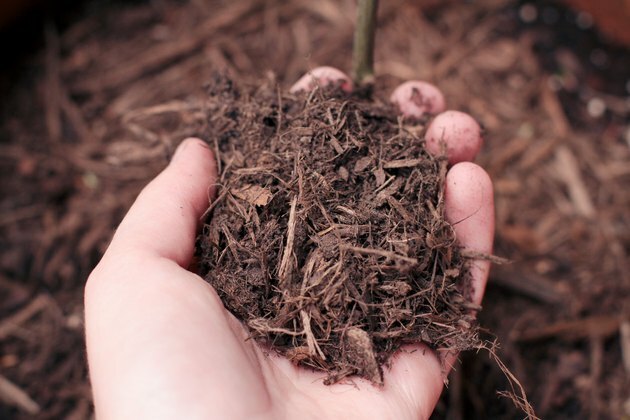 Spread a layer of mulch 3 inches deep in a circular area between the trunk and the area under the tip of the branches. Keep the mulch 2 inches away from the base of the trunk to avoid rot. Fertilize in the fall using a balanced 10-10-10 or 20-20-20 fertilizer. Use a slow release fertilizer and spread it over the area under the tree, keeping it 2 feet from the base of the trunk. Check the package to determine the correct application method and amount for your tree. Prune in the late winter or early spring before the growing season starts. Remove any dead or diseased wood and take out branches that cross. When pruning the canopy to monitor height, never remove more than 1/3 of the tree's total foliage at a time.